Goa is located in the south west coast of India and lies towards the Arabian Sea. Panaji is the capital city of Goa. A lot of tourists all over India and also foreigners who visit India make sure they visit Goa during their trip. This land is filled with lots of beaches and is good for holidays. Goan cuisine is heavily influenced by the Portuguese. Some of the popular dishes are fish curry served with breads, flatbreads or rotis and sometimes a bed of rice. This coastal land is rich for their culinary cooking of sea food. Fresh prawns straight from the sea, is seasoned and served right in front of you. Prawns, tiger prawns, lobsters, crabs, mussels, squids and varieties of fishes. Sea food lovers you definitely can’t miss out on eating here! It’s a must try. On the other hand for the non-vegetarians, a few exotic dishes like ambaat, ghashi, saaru-upkari, dali-thoy and an endless menu of yummy cuisines should be experienced. The best time to visit Goa is November to the end of March. The peak season is December to January as the temperatures are moderate. Keep a watch on the fare prices as they could cut off your pockets! So plan ahead in time and make your bookings. February is a month of carnivals and celebration. 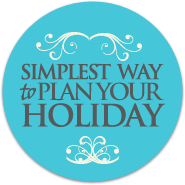 If you are looking for a budget holiday then June to September is the ideal time. Beaches and a few historical sites are some of the places you can visit in Goa. The famous beaches includes Baga at Dona Paula, Miramar is the closest to the capital, Chapora and Vagator, Anjunaand Calangute. There are plentiful shacks put up by the beach side, relax and mesmerise here! Also, shop at the Anjuna market which is active on Wednesdays and do some real bargaining and enjoy your trip. This is truly a tropical paradise for the cuisines, beaches and shopping. Book your Goa tour package NOW! This entry was posted in Goa and tagged best time to visit Goa. Bookmark the permalink.